Everyone knows TriBeCa for it’s restaurants and history, but did you know that they hold a special hub of furniture shops and interior design studios? Thanks to its history as an industrial center and the abundance of old warehouses here, TriBeCa’s homes are now most commonly in the architectural styling of a loft layout. And with all of that ample apartment space, it’d be a shame not to indulge in some fabulous furniture to fill it. Luckily, TriBeCa is awash with companies willing and able to help you style out your home in cutting edge and creative ways. Here are some of the best furniture stores in the neighborhood. With additional stores in Los Angeles and London, Espasso is dedicated to providing the most stylish contemporary furniture in the world to the most fashionable clientele. TriBeCa’s Espasso specializes in eco-friendly Brazilian pieces, all of which must be marked and traceable to ensure the welfare of the rainforest there, with some pieces being made from recycled or salvaged wood. 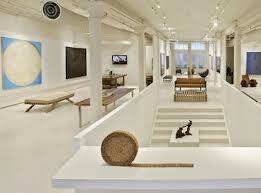 Espasso’s dedication to ethical furniture is merely a bonus though – everything in the store is both sleek and unique. For decorators seeking hand-picked antiques from Europe and Asia (specifically: France, Italy, the United Kingdom, Germany and China), this is the place to go. English owner, Burden (who used to work for Sotheby’s auction house) collects pieces on his travels, as well as from auctions, and brings them all back to TriBeCa to be repaired by his team of restorers. They work on site to ensure that all furniture sold in Jonathan Burden LLC is in the best order. This ex-dairy warehouse is now one of the most passionate places about antiques in the city. Don’t be fooled by the simplistic title – Room is one of the most high-end providers of fantastic furniture in the whole city, and they are willing and able to customize everything for the discerning shopper. Simple, modern, functional and sometimes made to order, there is a richness to Room’s furniture that is truly special. There’s something to suit every taste in Baker, thanks to the fact that it stocks both modern pieces, and furniture inspired by times past. This is thanks to Baker’s founder, Siebe Baker – a Dutch immigrant and cabinet maker – and a legacy that is almost a century old. Baker prides itself on working with American artisans to create home-grown, home furnishings of the highest quality, focusing on beautiful and detailed craftsmanship and classic elegance. 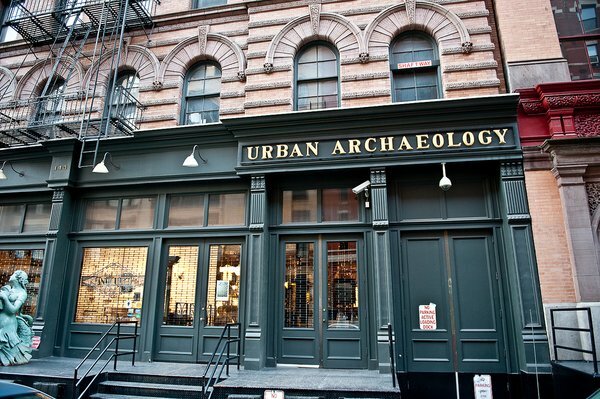 When Urban Archeology’s founder Gil Shapiro opened his first furniture showroom in SoHo in 1978, he was way ahead of the curve when it came to salvage design and repurposing – which is why he now has Urban Archeology stores in the Hamptons, Boston, and Chicago, as well as Tribeca. UA is a fabulous resource for mosaic and tile as well, but it is the artistry and skill of the on-site designers that makes this place so special – the fact that fixtures can be custom-designed here is a definite bonus.